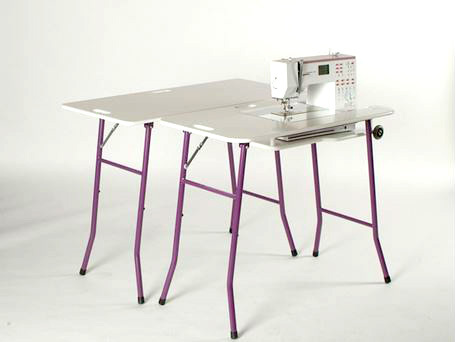 The SewEzi extension table uses the same leg system as the SewEzi Portable sewing table. 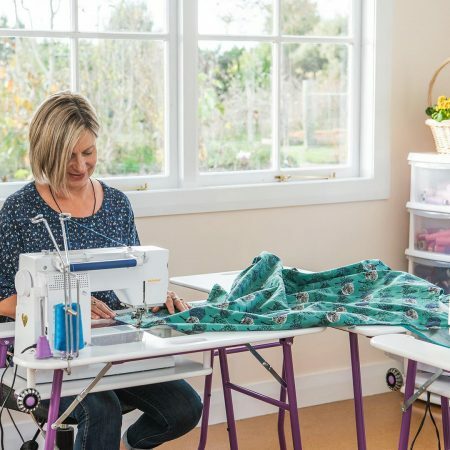 It has a slightly larger top with no cut out and is designed to give extra space when sewing. Having it as a separate table means it can be placed wherever it is most needed. The SewEzi extension table is the perfect accompaniment to the SewEzi Portable or SewEzi Grande, alternately if can be used by its self. 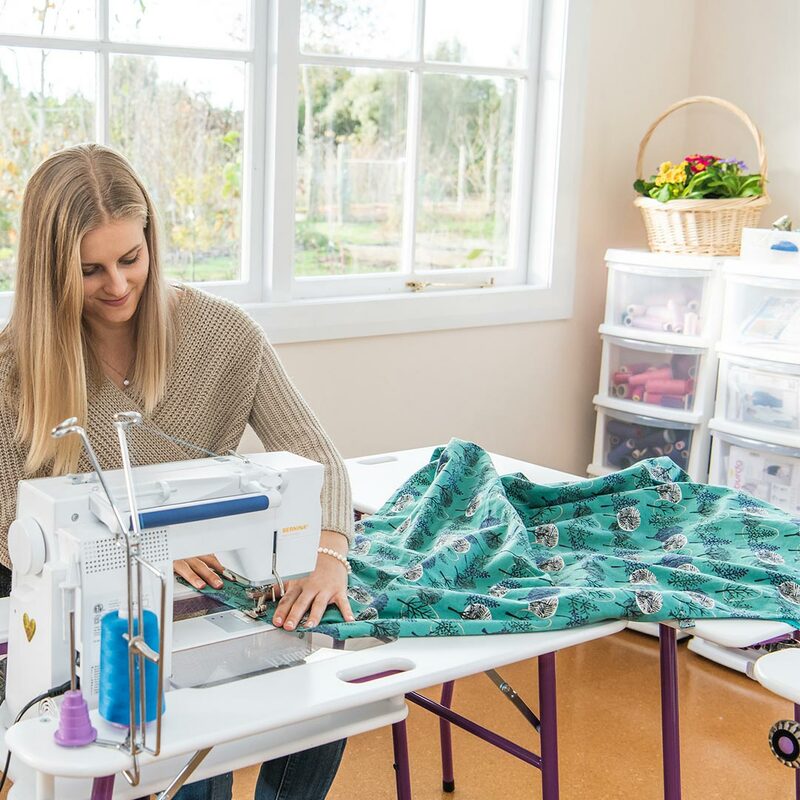 The big advantage of the SewEzi extension table is you can place it where you need it most, beside or behind your sewing workstation. It also has its own travelling case and pop out wheels to make transporting easy. Can the SewEzi Extension Table be taken to classes and retreats? Yes. 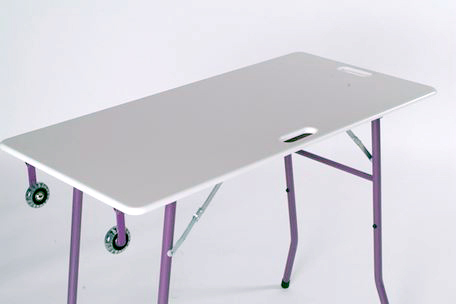 The SewEzi extension table is designed to be PORTABLE. The wheels are attached permanently to the table(they pop out when in use) and there are two handle cut outs in the table top to make it moving your SewEzi extension table easy. What is the SewEzi Extension Table made of? The smooth working area is made from Medium Density Fibre board which is finished with two pot kitchen grade paint. The corners and edges of the top are rounded to allow for the free movement of fabric. The design of the folding leg system means that the table packs down to a very thin dimension for storage and transport. This table uses a tool less card table stay system to hold the legs so that it is quick and easy to operate. The leg system is made from furniture tube which has been powder coated and contains a UV blocker to minimise fading in high UV environments. Does the SewEzi Extension Table have a cover? Yes. The cover is made of black polyester and included in the purchase price. Will my serger/overlocker fit onto the Sewezi extension table? 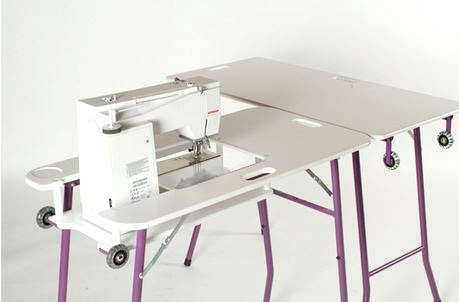 Yes, because this table has no cut out in table top, therefore no size restriction, you can put your serger/overlocker directly onto the table surface. Be the first to know about upcoming promotions, competitions and more.